Daymond John is the personification of the American Dream. From his humble beginning on the streets of New York, to a self-made multimillionaire with over $4 billion in global product sales, and a starring role on the ABC business reality TV show Shark Tank. With years of experience as both a successful entrepreneur and mentor, Daymond landed a co-starring role on ABC’s business show, Shark Tank. Throughout his eight seasons on the show, Daymond has given countless aspiring entrepreneurs the opportunity to work alongside him and his team, showing them the ins and outs of what they need to take their business to the next level. As The Peoples Shark, Daymond has made an impact on the hopeful entrepreneurs vying for an investment in the Tank, as well as the weekly viewers sitting at home, through his relatable story and journey to success that continues to both motivate and inspire. As the most watched program on Friday nights, Shark Tank has maintained an impressive average weekly viewership of over 10 million and has won multiple Emmy Awards. In early 2014, Shark Tank syndicated on CNBC, becoming the channel’s top rated show and giving the network its best primetime ratings in over 6 years. Daymond created his brand consulting company, The Shark Group, to reveal the secrets that made FUBU a $6 billion global brand and reinvigorated the once defunct Coogi brand into the biggest fashion line in its space. Consulting for some of the top Fortune 500 companies in the world, Daymond and The Shark Group share advice and experience on branding, licensing, social media, product placement, marketing strategy and overall business consultation. As a brand consultant, Daymond and his team will examine the needs of the corporation, dissect the problems and create manageable solutions for brand growth. He will also help improve your business’ profitability by enhancing the marketing structure and strategy. Daymond is the author of three best-selling books, including Display of Power, The Brand Within and, most recently, the New York Times and Wall Street Journal best-seller The Power of Broke. As a world-renowned marketing and branding guru, Daymond has been the recipient of numerous prestigious awards throughout his career, including Brandweek Marketer of the Year, NAACP Entrepreneur of the Year, The Essence Award, Advertising Age Marketer of the Year, Ernst & Young’s Master Entrepreneur of the Year, and Details 50 Most Influential Men. John has also been tapped to work with President Obama on his My Brother's Keeper program, which will help create access and opportunity for underserved men of color via mentorship and education. As a consultant, Daymond will examine the needs of your business, dissect the problems, and create manageable solutions for brand growth. He will also help improve your business' profitability by enhancing the marketing structure and strategy. (Forbes) – The humble beginnings of John’s fashion empire, FUBU, taught him that starting from zero is your greatest competitive advantage in business. (Cape Cod Times) – John said his 40s have proven to him that his passion is spreading a love for entrepreneurship and growing businesses the right way. 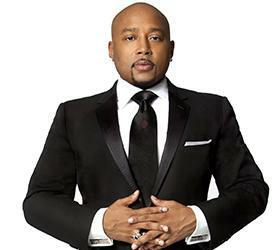 (WTVM) – Daymond John, the CEO and found of FUBU and member of the panel on ABC’s Shark Tank will appear at the Jan. 16, 2016 MLK: The Dream Lives Unity Commemoration. (All Africa) – In nine out of 10 things Daymond John tried, he failed. For him failure in entrepreneurship and life in general sometimes happens more often before one starts celebrating triumph. Daymond John (the storied creator of FUBU who’s now so spiffily informative on Shark Tank) and I tend to cover different areas; he’s best-known for working with entrepreneurs and in mentorship, and I concentrate on customer service and the customer experience as a consultant and keynote speaker. So I was heartened to hear Daymond’s strong feelings on the subject, on “my” subject, so to speak, when we recently spoke after his Capital One mentorship event in NYC. This Shark Tank star has learned to spot entrepreneurial talent fast. The trick? Focus on the people, not the product. (Entrepreneur) – When Daymond John was in elementary school in Queens, N.Y., he had to read books four times over to retain what they said. Now, at 46, he says he still has to reread them several times — often two to three times each — for the information to really sink in. Guerrero offered her advice during an event Tuesday night at the New Museum that was sponsored by Capital One. Its purpose as to aid entrepreneurs and small business owners, as well as offer an opportunity to network and hear strategies from the featured panel. 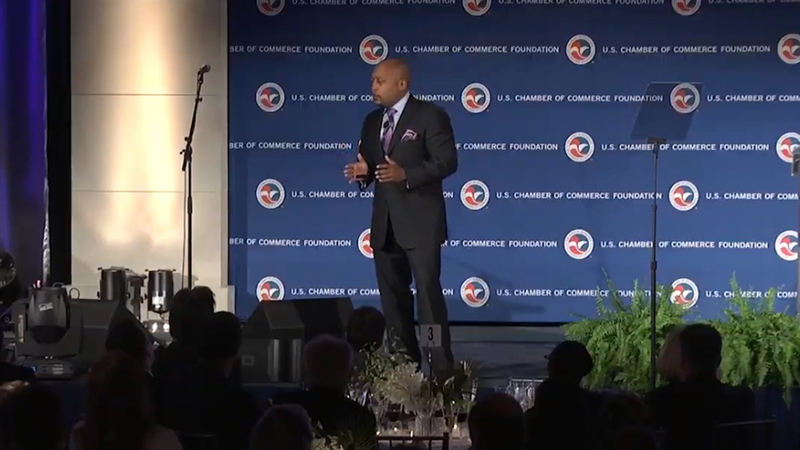 Daymond John, CEO of clothing line FUBU and an investor on " Shark Tank," appeared alongside Guerrero on stage. The two met when he decided to invest $100,000 in her company in exchange for 35 percent equity during a taping of the show. (Huffington Post) – Since Kevin O'Leary first broke the news that his woman-led companies are responsible for ALL his investment portfolio returns, I've seen a lot more information surface (or resurface) on the advantages of diversity in leadership roles. For example, a 2012 report by Dow Jones found that successful, venture-backed start-ups have a higher median proportion of female executives at 7.1 percent, compared to unsuccessful start-ups with just 3.1 percent. This March, Quantopian, a Boston-based trading platform ran a comparison of the performance of women-led Fortune 1000 companies vs the male-dominated S&P 500, over 12 years from 2002-14. The women-led group performed three times better. Three times! (Business Insider) – Working as a waiter at Red Lobster might not sound like an impressive job. 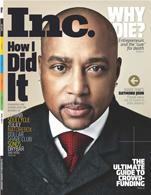 But for 'Shark Tank' investor and Fubu founder Daymond John, it was a great way to get started as an entrepreneur. Daymond John, an investor on the reality series “Shark Tank,” was one of nine business founders named Presidential Ambassadors for Global Entrepreneurship by the White House on Monday. (Forbes) – I was about to take a leap of faith into a new career and had two offers on the table. The first company would provide invaluable work experience and the other was offering more money than I had ever seen. 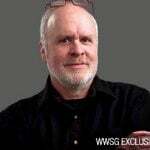 To help me asses this life-changing decision I reached out to my mentor who has been my sounding board for career advice over the last seven years; he was my manager and I was fortunate to have him as one of my mentors. He never told me what to do, but he helped me evaluate my options so I could make an informed decision. In the end I opted for the work experience because that opportunity also met the other essential criteria of my job search. "An Evening with the Shark" will feature John selecting the winner of a $10,000 cash prize for one lucky entrepreneur. John will also give a motivational speech to the crowd about the creation of his international clothing brand FUBU. (Inc.) – As far as rags-to-riches startup tales go, Fubu founder and Shark Tank star Daymond John has one of the best around. Here's how it goes, in brief: He grew up in Queens, in New York City, raised by a single mother who worked three jobs to care for him. "The only entrepreneurs we would see were the pimps and drug dealers at 3 p.m.," he told the audience at Inc.'s GrowCo conference in Nashville Wednesday. But once he discovered hip-hop culture–and more important, the business opportunities it offered–his world suddenly turned "technicolor." Starting with a mere 10 shirts, and with a few stints slinging biscuits and shrimp at Red Lobster, he eventually created a fashion empire. 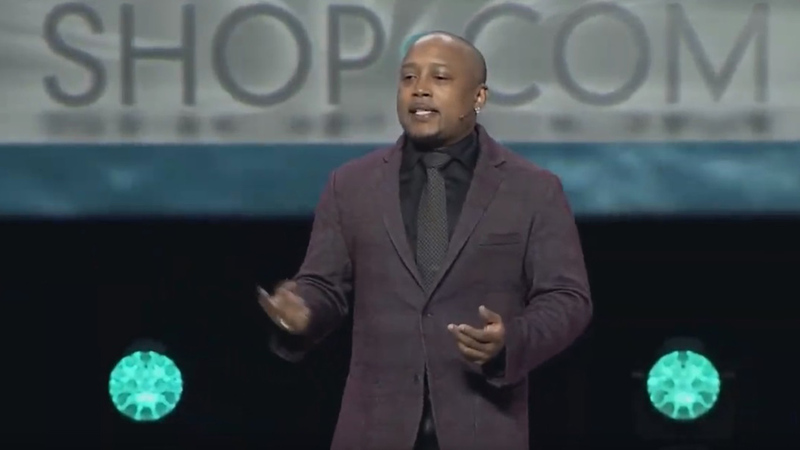 (Nashville Business Journal) – The first of many celebrity guests headed to Nashville this spring will touch down next week, when Daymond John, one of the stars of ABC's "Shark Tank," arrives for Inc.'s GrowCo conference (its second in the city). BILLINGS – Daymond John, star of the ABC reality investment show, "Shark Tank," drew a huge crowd for the Billings Chamber of Commerce’s Annual Breakfast at Rimrock Auto Arena on Thursday morning. (Inc.) – Before Daymond John became a household name as a host of ABC's Shark Tank, he was just another kid with a dream of becoming an entrepreneur. John got his start in 1989, selling wool hats on the streets of Queens. He called his brand Fubu, short for "For Us, By Us," but Fubu was hardly a real company. John had sewn the hats himself in the basement of the house he shared with his mother. By 1992, he had run out of money three times trying to launch the brand. 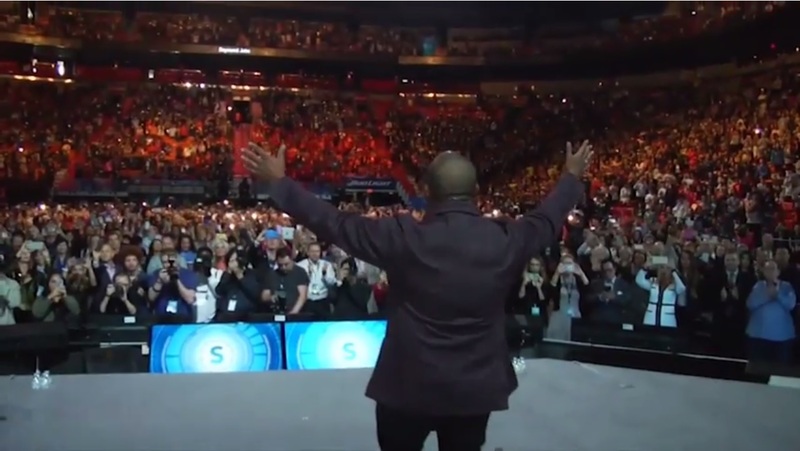 "Daymond John is an electric speaker and brilliant strategist…"